If you want to learn from millionaires themselves, you are in the right place. I want to show you that millionaires are just people. They have had different experiences in their lives and business, but they are like you. They fail. They experience fear. But they move past it and do things anyway. Each week I bring to you a new millionaire to learn from, providing you with their best tactics and advice for growing your business. 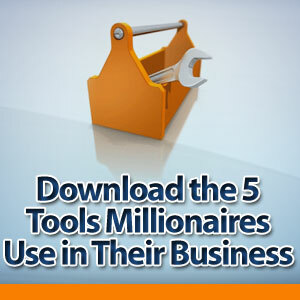 Get started today by downloading the 5 Tools Every Millionaire Uses In Their Business, plus get a new millionaire interview every Monday! I’m Jaime. Ever since I was little I had this weird feeling, a knowing that I would someday have a million dollars. While I don’t have a million yet, I’ve always been intrigued by how to make a million. I started out thinking the only way I could do it was to get a good job with a great salary. So I went to a great (expensive!) school. I decided to start working full time in college to get a jump ahead of other college graduates. By the age of 22 I was making six figures, and had an expense account. But I also started spending as if I made great money. By the age of 24 I was in over $70,000 in debt. I hated my work. I had worked so hard, for what? I had some cool stuff. But I was stuck in airports all the time. When I was home I dreaded Sunday nights because they marked the beginning of yet another long work week. I determined that living an enjoyable life was worth far more than a million dollars. So I updated my goal. Instead of just a million dollars, I wanted to find work I loved and the life I loved, and THEN make my million. In 2006 I decided to crush my debt and quit my job. I read a massive amount of books and websites about how to do it. 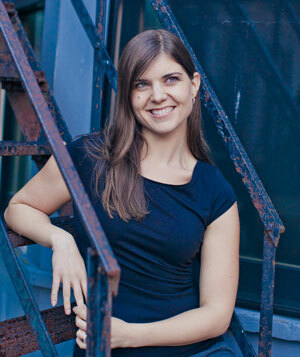 The world of personal finance and entrepreneurs opened up to me. By April of 2007 I was able to give my notice at my job. I took time off to find out what work excited me. I found it. Now I help entrepreneurs focus their money and their strengths to create an amazing life while they build their net worth. I’m still learning too, so I interview millionaires to get their best tips, tactics and advice from their successes and failures. What is an Eventual Millionaire? I think it’s okay to love money. I love my washing machine too. It’s okay to love a tool that makes your life easier. What is not okay is putting it above other priorities, like family, health and work you love. I like to help people put money back in its place. Where people control money and money doesn’t control people. Disclaimer: I am not a millionaire yet, nor am I a certified finance professional. But I am debt free and I am building my million by making conscious choices in my life and business. This is purely my opinion on finance. If that sounds good to you, then Join Me!